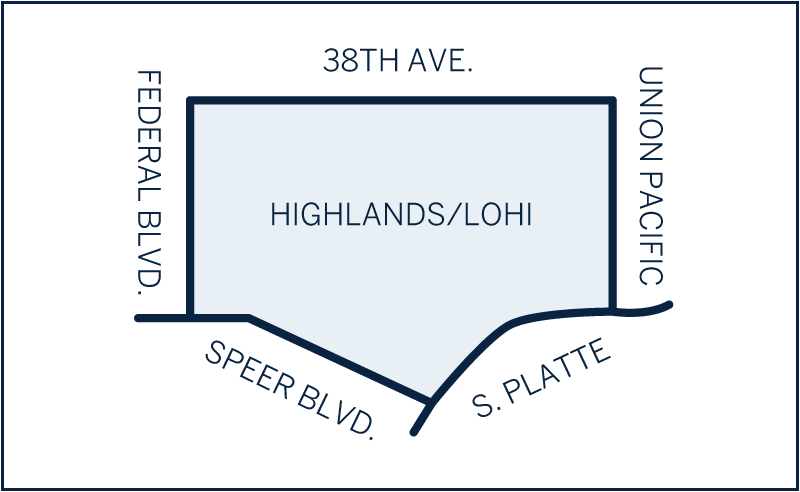 The Highlands and Lower Highlands (LoHi) neighborhoods serve as hip and trendy respites overlooking the city, and ideally nestled across I-25. Offering an eclectic array of shops, restaurants, and entertainment, the Highlands area affords incredible views of the Highland Bridge and downtown Denver. It’s also referred to as one of Denver’s “coolest” neighborhoods, where you can grab a drink with friends at a rooftop bar, savor some the best local brews, and enjoy delectable bites from places like Linger and Ale House. In the Highlands, you will also enjoy Highland Square, an established oasis marked by dozens of trendy shops, restaurants, and coffee houses. With easy access across the bridge to downtown, plus a thriving mix of mom-and-pop shops, bookstores, and wine boutiques, there is a lot to love about the Highlands and tight-knit LoHi. Plus, this vibrant area is filled with a unique mix of old and ultra-modern architecture, from quaint Bungalows to Denver Squares to magnificent Moderns. The median single family home price is around $800,000, with some condos starting at $600,000, up to multi-million dollar historic or newly remodeled residences.